The BIG APPLE CIRCUS is in Town! Here's the skinny.. The BIG APPLE CIRCUS is in Town! Here’s the skinny.. The Big Apple Circus tent went up Thursday, September 20th, at Dulles Town Center and will be in town until Monday, October 8th. Bring the whole family out to see the many hilarious clowns, magnificent animals, soaring aerialists, flawless jugglers, astounding acrobats AND a contortionist! It’s truly an event you won’t want to miss! 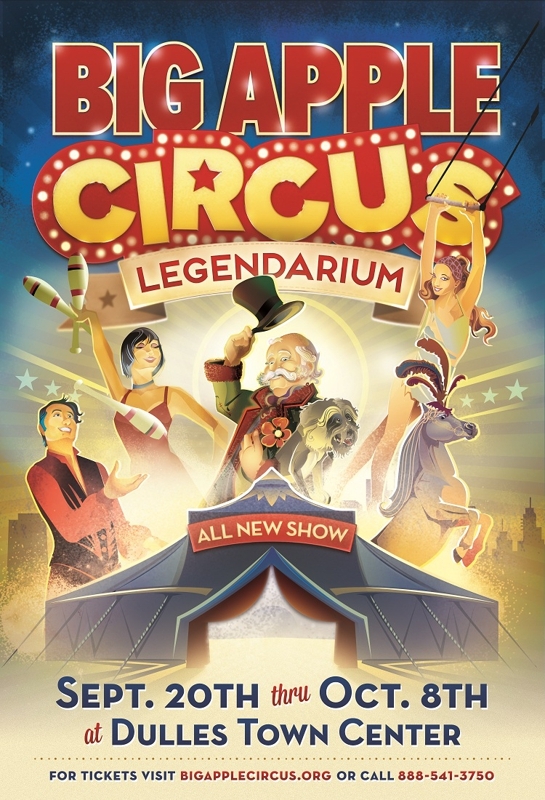 Click to buy tickets for Big Apple Circus and don’t forget to check out Living Social, Groupon, and the Information Desk at Dulles Town Center Mall for coupons for up to 75% off!